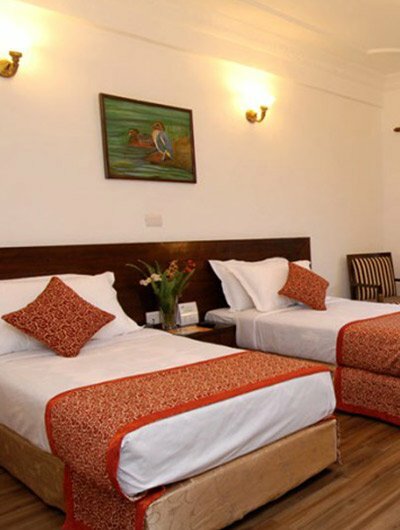 Dolphin Guest House is situated on the northern edge of thamel in a peaceful environment. It has 10 rooms, of which 6 are with private bathrooms, and 4 are with shared bathrooms. it is a small family-run guest house with a warm, friendly, and cozy atmosphere. it is also recommended in the French guide book “ Le Guide du Routard”, Japanese guide book “Chikyuno Arukikata”, and internationally renowned website “trip Advisor”. the hotel always endeavors to follow the principle of “Atithi deva bhavo” (Guest is God). Hotel Mandap offers superior rooms and suites tastefully decorated to make your stay comfortable. It has a calm and cozy environment .